Ken loves working on Some Assembly productions as it allows him to combine his two passions and areas of expertise: working with youth and performing as an actor and musician. With over 20 years working with youth, Ken has experience and training as a group facilitator, substance misuse counsellor, employment/career counsellor, case manager, crisis intervention counsellor and an anger management/ violence intervention facilitator. 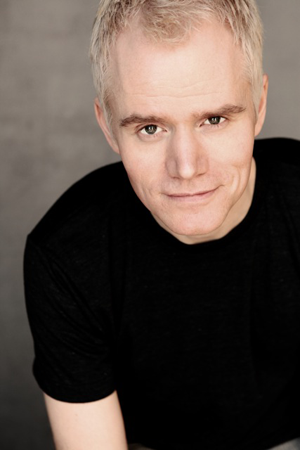 Ken is a Leo Award (best performance in a musical, comedy or variety program 2015) and Canadian Comedy Award (best live production 2016) winning actor who has appeared at improv comedy festivals and theatres all over North America and Australia and is a long time cast member with Vancouver TheatreSports. He has also been a cast member of The Second City, performing with the legendary satirical theatre company in the Caribbean for NCL Cruise lines. Ken also appears in film and television, including Disney’s Adventures In Babysitting & Neill Blomkamp’s OATS. Ken has been a professional musician for many years and has appeared on CDs and stages all over North America. Ken has been working with his friend and work partner Valerie Methot since 2004. They have since collaborated on assisting Vancouver area youth to write and perform original plays to the general public and thousands of their peers from high schools, alternative programs, treatment and recovery programs and other organizations.